Get your rest, because there’s a full week of art activities awaiting. First, hop over to the High Line to experience the new LED kinetic sculpture, then experience a giant cat judging you (as it should be) every night in Times Square for #MidnightMoment. Artist and lab anatomy instructor Frank Porcu shares his unique vision at the Lodge, and Jong Oh talks minimalism at Marc Straus–and then serves Korean food! Curator Jessica Holborn explores the healing power of the embrace, and Annika Connor talks about her new book and tips for artists navigating the rough and tough art world. Wait in line for standby tickets to see Grace Jones’ 1982 “A One Man Show” at the Kitchen, then cozy up at the adorable Roger Smith Hotel for their winter art opening. 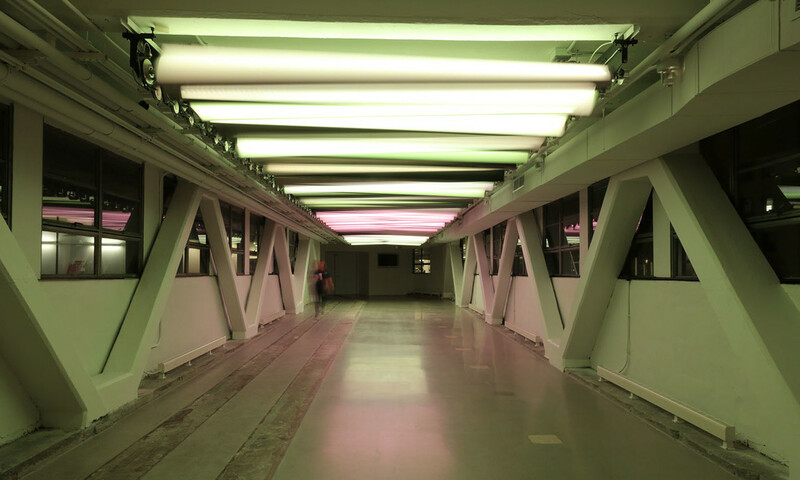 Visitors to the High Line can now have an illuminating experience on the pedestrian bridge into the Chelsea Market. 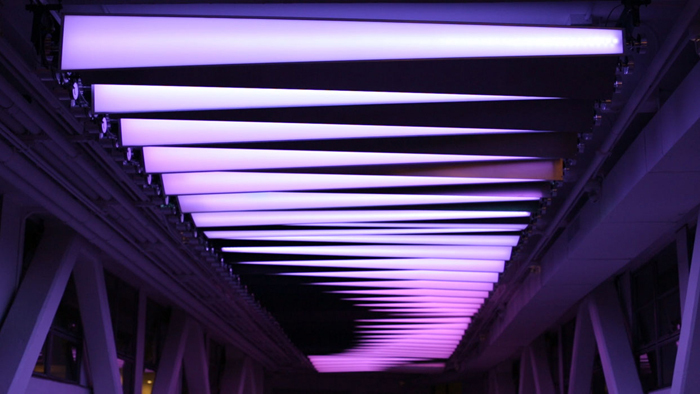 Designed by Hyphen Labs and Interior Architects, the glowing kinetic sculpture is made up of 66 moving prisms and 40,000 LEDs that change color and shape to create a truly eye opening experience. CATS! Every night this month, look at the Times Square Kitty! A.K.A. Peter Fischli and David Weiss’ 2001 short film of a cat coolly lapping up milk, occasionally looking up to judge us humans. The film is in conjunction with Fischli and Weiss’ exhibition “How to Work Better” at the Guggenheim. Frank Porcu is an interesting character; a fine artist also trained in stereoscopic medical dissection and as an instructor of lab anatomy. 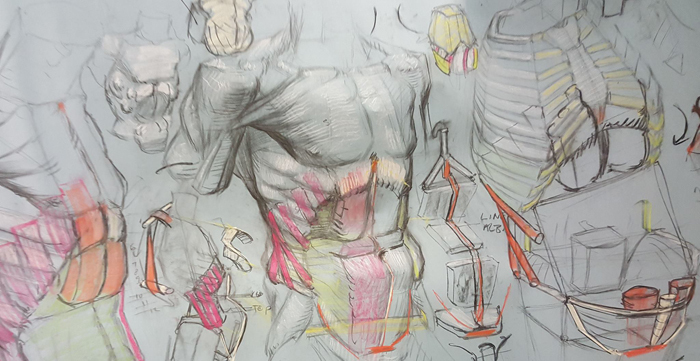 Many of his intensive drawings capture the logistical function and structure of the human body and are created during performance. 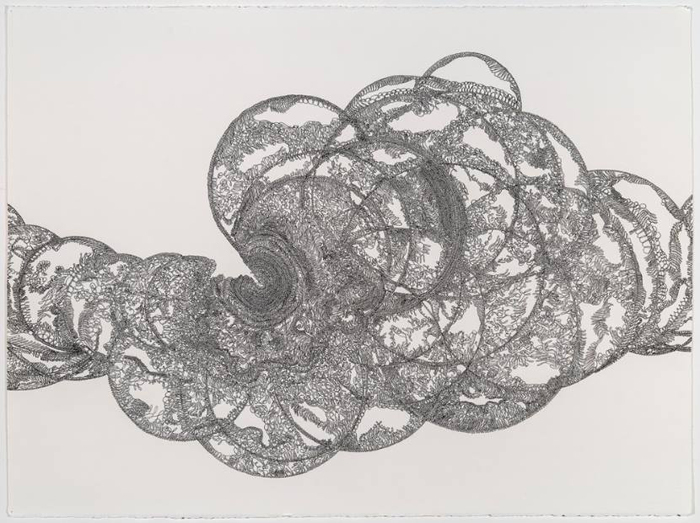 Tonight, Porcu performs alongside drawings from past projects and lectures. This group show explores the hug, not as a means of hello or a sentiment of love, but as a method of coping with an increasingly volatile world. 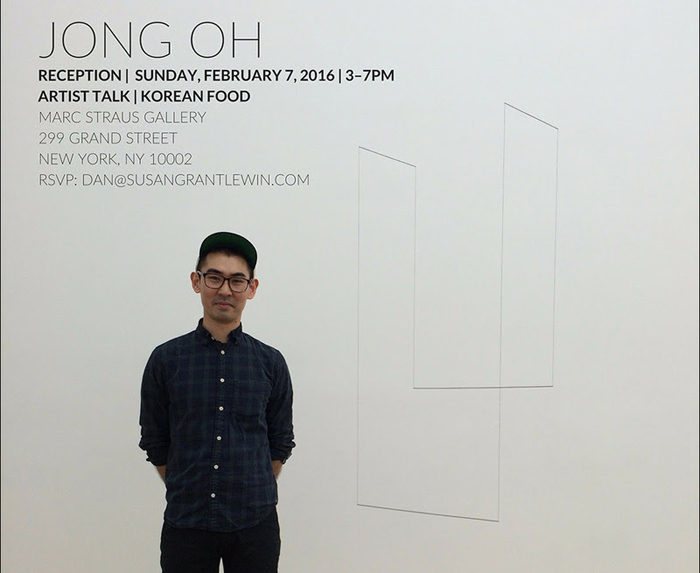 Jong Oh’s meditative minimalistic exhibition has been extended through the end of the month, and to celebrate, the gallery is holding an artist talk that ends with Korean food. The artist will be in conversation with architect Nathan Rich and Marc Straus Gallery Director Ken Tan on the topic of the relationship between minimalism with sculpture and architecture. Grace Jones’ 1982 collaboration with Jean-Paul Goude resulted in this amazing Jean-Paul Goude concert film. Dirty Looks screens it tonight, with an introduction by Tavia Nyong’o and Bradford Nordeen with video by artist Rashaad Newsome. 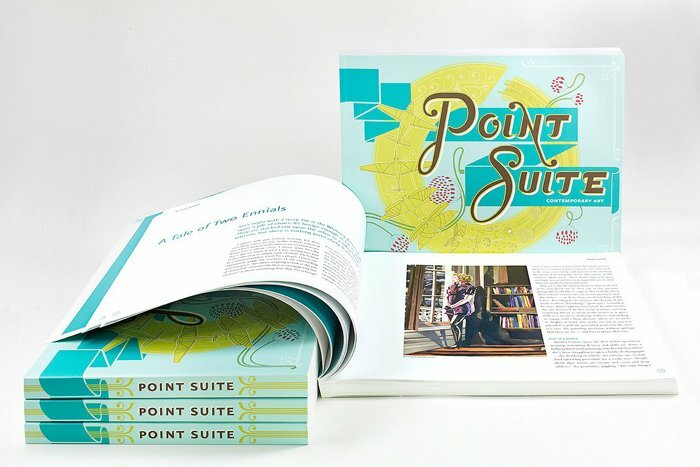 Artists Annika Connor and Nicholas Papadakis discuss their new book, Point Suite, which features the work of 34 emerging artists as well as art world practices and tips. The family-owned Roger Smith Hotel is like a slice of old New York. Ever the supporter of the arts, the hotel welcomes its Winter Mega opening, with works by Eliza Stamps, Jansson Stegner, Sarah Kurz, Loren Crabbe and Matthew James Ortiz, throughout varying spaces in the hotel.